Just this week, I heard a preacher talking about some young men in his church. Their beliefs are right on target–completely orthodox; beautiful doctrines that ought to humble any soul and cause them to worship. Unfortunately, the way these young men communicate their beliefs comes across as being brash. The preacher said that there is almost an argumentative spirit there; they appear more concerned with winning an argument than winsomely communicating the beauty of these truths. This, my friends, is a living contradiction. The more robust, the more detailed your theology, the more humble you should become. Why? Because you did not figure God out; he revealed himself to you. Don’t you remember the words of Jesus to Peter when the disciple correctly acknowledged Jesus as the Messiah? “Blessed are you, Simon Bar-Jonah! For flesh and blood has not revealed this to you, but my Father who is in heaven.” (Matt. 16:17) The theologian owes his knowledge to God himself, who has not only made himself known in creation and Scripture but has also opened our eyes to understand and embrace the truth. The proud theologian has somehow convinced himself, or at least acts as if, he discovered God. But you understand that you did not uncover the truth of God like some kind of rock star archeologist. He sought you, caught you, and gave you sight, knowledge, and life. 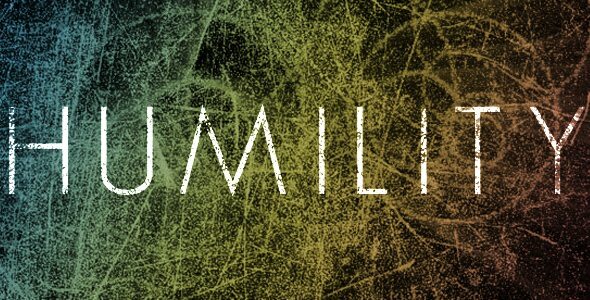 Humility should be borne out of your theology because you are so entirely dependent on God for it. Be passionate for God, fight for truth, contend for the faith, but be humble. Your knowledge is a cause to be humble, not a reason to boast in your insight or tradition. What Thorn describes is what Josh Harris called us to a few years ago: a “humble orthodoxy.” Harris says we should care about the truth, love the truth, live the truth, and share the truth; however, a true response to what God has done for us in Christ should be that of humility, not brashness or arrogance. Josh’s two messages on “Humble Orthodoxy” were preached at Covenant Life Church, the church he pastors in Gaithersburg, MD. They are available for download here. Orthodoxy is a commitment to the teaching and application of the established and cherished truths of the gospel of Jesus Christ. We want to rediscover these ancient paths and to let them shape us. We want this truth—which has always been—to completely shape us. We want to humbly live this truth, and humbly proclaim this truth—not merely as people who are right, but people who have been rescued. May God grant us all a love for the truth which leaves us as humble rather than proud. And may God forgive my own desire to be right, rather than shedding tears of joy, that God should be so gracious to such an undeserving one as me. smack! =) this is convicting and encouraging at the same time! thanks, Phil! This would be nice to see on facebook instead of religious flame wars.